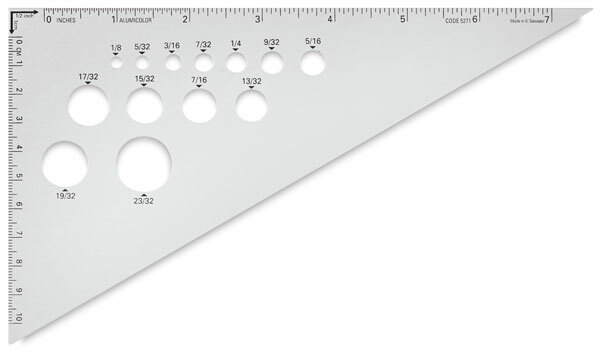 These aluminum triangles feature inches and metric (mm/cm) calibrations and hole sizes. The edges are calibrated to 32nds along the entire English edge, and all holes are accurately calibrated and labeled for convenience. ™ Ludwig Precision is a trademark.